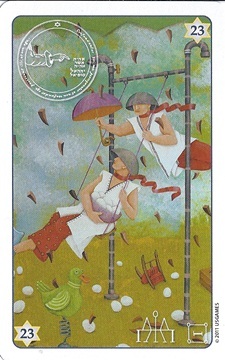 King Solomon Oracle Cards is a 36-card oracle deck created by Itzhak Mizrahi, featuring the artwork of Orna Ben-Shoshan. 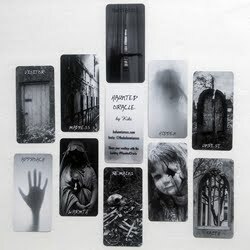 The deck also comes with four additional "amulet" cards. The cards are numbered in the top and bottom diagonal corners of each card, the numbers centered in a star. 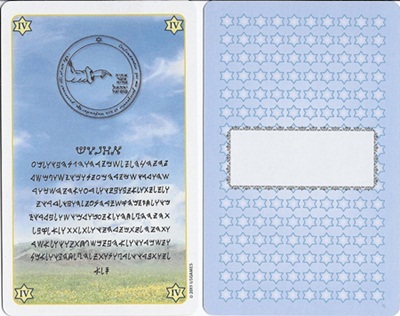 There are also various symbols on each card, including Solomon Seals containing angel names, Goatic symbols and ancient text witten in angel writing. Unfortunately, the LWB does not offer explanations on the meanings of any of these symbols. This makes the symbols and writings meaningless for those who are unfamiliar with what they mean. Perhaps they are meant to serve as subliminal messages to your intuition? The amulets are supposed to be kept or carried around with you. 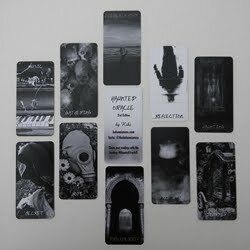 According to the creator of the deck, these cards will influence your life with blessings as long as they are in your possession, and you should feel their effect after 21 days. "After 40 days, their sacred power can be sensed quite noticeably." In order to harness the power of the amulets, you are supposed to write your name and your mother's name in the space given on the back of the card. 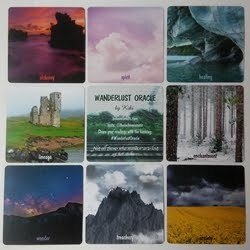 Each amulet card covers a different area of life: Livelihood, Relationships, Health, Security/Protection. I myself have not written on any of the cards, nor have I carried any of them on me, so I cannot attest to their effectiveness. As in the 72 Names Cards, Orna Ben-Shoshan has given us another surreal deck to work with. In fact, there are a couple of crossover cards that I noticed, which appear in both decks. 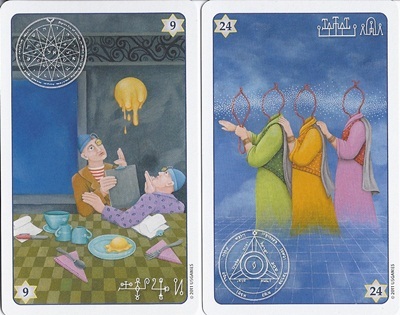 Offhand, without comparing the two side by side, I recognized two (see image at left) from her previous deck. Orna's fantastic artistry never fails to delight and inspire intuition. The imagery she provides is fantastic fodder for intuitive reading. I'm always able to receive clear readings with her decks, as bizarre and fantastical as the scenes are. There's just something magical that happens when reading with one of Orna's decks. You see things in them that make perfect sense, and they have an uncanny ability to mirror what's going on in your life so miraculously. It's really quite something to experience! The LWB is 46 pages and begins with a brief introduction into the deck, followed by information on the amulet cards. 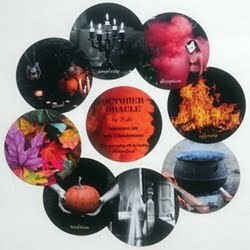 Next is a section on working with the oracle cards, giving general information on conducting readings. The bulk of the LWB is dedicated to the meanings of each card, and ends with a couple pages on spreads. There is a single card spread, a 3-card spread, a 4-card spread, and a suggestion for pulling a clarification card. Lastly, there are brief bios on the creator and illustrator of the cards. The meanings in the LWB given for the cards include keywords and key phrases for the Situation, Advice, and Inverted (reversed) meanings. The cards are designed to be used with reversals, although I don't use them. I definitely recommend this little gem of a deck for anyone interested in an oracle deck that will fuel your intuition and bring a bit of magical synchronicity into your readings. 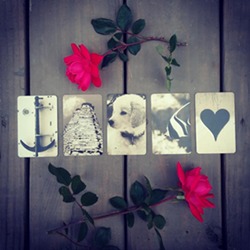 This deck review was originally published on my previous blog (Tarot Dame) on 6/16/11.